Are we meeting our product development goals? Product development metrics are crucial to determining if you’re on target with your product development goals and when to take corrective action. A metrics-driven program assists you in understanding how well you perform and how this performance affects your return on investment. 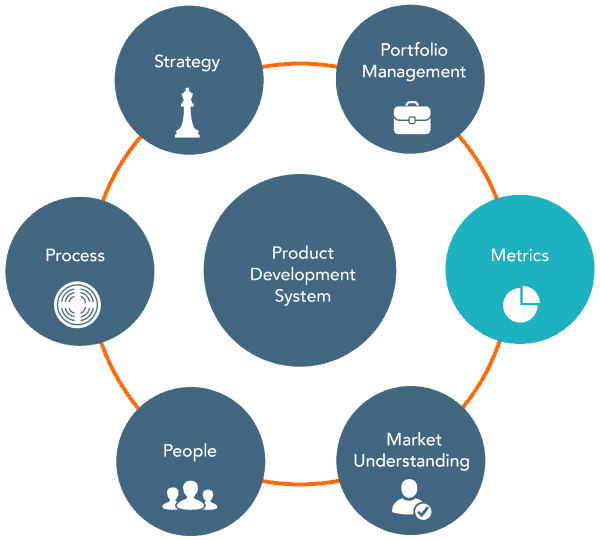 We work with your team in developing and defining your product development metrics program. Because product development is a system, metrics may cover many areas, such as achievement of strategic objectives for the category, composition and value of the product development portfolio; health and return on individual product development projects; team success; culture; etc. We also review your product development process, and help define important metrics that track on-time-delivery throughout your process. The benefit to you is rigor. Through metrics, your company continually monitors the pulse of your product development performance and capabilities, and identifies areas for improvement.